« CHIPRC’s Zine Zine Club: White Elephant Edition, at Quimby’s! Isn’t our new window display awesome? No Apocalypse: Punk, Politics & The Great American Weirdness by Al Burian (Microcosm) $14.95 – Former Quimby’s employee and Burn Collector zinester’s collected work from 2000-2007 from columns he wrote for pubs like Punk Planet, Heartattack, and the Skeleton. Now Is the Time of Monsters: A Graphic Discourse on Predatory Capitalsim (World War 3 Illustrated #49) $12 – This issue edited by Sue Simensky Bietila. 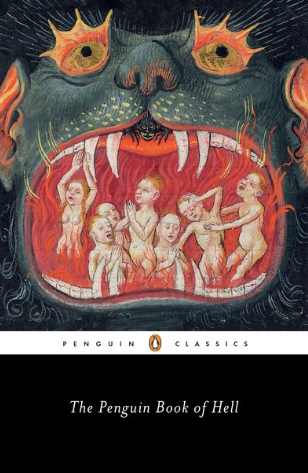 The Penguin Book of Hell by Scott G. Bruce $17 – What better way to send a gift with a message? The Earth Dies Streaming: Film Writing 2002-2018 by A.S. Hamrah (n+1 Books) $20 – Collects the best of Hamrah’s film writing for n+1, The Baffler, Bookforum, Harpers, and other publications. Acerbic & hilarious.